QPR Institute Australia is the Australian subsidiary of the QPR Institute in the U.S. The QPR Australia organisation is registered in Australia as Postvention Australia. A key objective of QPR Institute Australia is to increase the uptake of QPR on-line and face-to-face training programs in Australia, thereby equipping Australians with the skills and confidence that will enable them to intervene appropriately to the save the lives of those at risk of suicide. Provide low-cost, high-tech, effective, basic gatekeeper and intervention skills training to lay persons who may be able to prevent suicide. Provide suicide prevention, intervention and postvention training programs for a variety of professionals and for undergraduate, graduate and post-graduate students preparing for careers in the helping professions. Reduce morbidity and mortality of suicide patients, students, and employees through a systems approach to suicide risk reduction that enhances detection of suicide behaviours and those clinical competencies necessary to assess, manage, monitor, and treat patients known to be at elevated risk for suicide behaviours. QPR stands for Question, Persuade, and Refer — the 3 simple steps anyone can learn to help save a life from suicide. Just as people trained in CPR and the Heimlich Manoeuvre help save thousands of lives each year, people trained in QPR learn how to recognize the warning signs of a suicide crisis and how to question, persuade, and refer someone to help. Each year thousands of Australians, like you, are saying "Yes" to saving the life of a friend, colleague, sibling, or neighbour. QPR can be learned in our Gatekeeper course in as little as one hour, but 90 minutes to two hours is preferred. QPR Gatekeeper Training for Suicide Prevention is listed in the National Registry of Evidence-based Practices and Policies as published by the U.S. Department of Health and Human Service Substance Abuse and Mental Health Services Administration at: www.samhsa.gov. According to the Surgeon General’s National Strategy for Suicide Prevention (2001), a gatekeeper is someone in a position to recognise a crisis and the warning signs that someone may be contemplating suicide. Gatekeepers can be anyone, but include parents, friends, neighbours, teachers, ministers, doctors, nurses, office supervisors, squad leaders, foremen, police officers, advisors, caseworkers, firefighters, and many others who are strategically positioned to recognise and refer someone at risk of suicide. Both are part of a "Chain of Survival"
In CPR, the general public is educated about the classic signs of a heart attack: pressure, fullness, squeezing and pain in the centre of the chest, sweating, and other symptoms, and then taught how to respond. Some people in the community are particularly vulnerable, for example men aged 18 to 24 who have previously served in the Australian Defence Forces are twice as likely to die by suicide as men of the same age in the general population. The bereaved by suicide are up to eight times greater the risk of suicide than the general population. If you are a professional caregiver, police officer, fireman, coach, teacher, youth leader, paramedic, school counsellor, case manager, volunteer or paid staff in any of a hundred different kinds of organisations, you very likely have had first-hand contact with someone who has contemplated suicide. We can all become gatekeepers. The city of Seattle, Washington and surrounding King County has trained more citizens in CPR per capita than any other region in the country. As result, CPR-trained citizens are more likely to respond to perceived medical emergencies in Seattle than in any other city in the United States, which leads to more favourable survival rates. The percentage of people who survive a non-hospital cardiac event in most cities in the world range from 5 to 10%. But in Seattle the survival rate is 62%. According to Sanddal and his colleagues (Sanddal, 2003), "In the Seattle cardiac care system it is estimated that one in four persons has been exposed to CPR training. One can conjecture that the recognition of, and survival from, an acute suicide event would be more likely if one in four persons were trained as a suicide lay gatekeeper." Because of the nature of suicidal warning signs, and who is most likely to recognize and respond to them, we at QPR Institute Australia strongly concur with the goal of one in four persons trained a basic gatekeeper role for suicide prevention in Australia. Because suicides happen in families – where emergency interventions are more likely to take place — we believe that at least one person per family unit should be trained in QPR. How did QPR Institute begin? Following a productive, three-year joint effort between Spokane Mental Health, Spokane Regional Health District, and the founder to launch a national suicide prevention training program, the Institute became an independent organization in July of 1999. In the early and developmental years, the QPR concept and associated training program that eventually lead to the founding of the Institute enjoyed considerable support and input from a wide variety of organizations and professional colleagues. For moral support in the early going, we especially wish to honour, thank and recognize two groups of very special people who share our vision and mission. Both grassroots survivor of suicide organizations, Suicide AwarenessVoices of Education (SAVE) and the Suicide Prevention Advocacy Network (SPAN USA) provided that all essential spark of encouragement that keeps hope alive and all of us working even harder to bring about the reality of preventing suicide. We also wish to thank members of the American Association of Suicidology for their contributions to the ideas, research and development of our suicide risk reduction tools and protocols. For over 30 years, Alan has played a pivotal role in the recognition and development of suicide prevention and postvention services in Australia. Alan was responsible for the formation and establishment of Postvention Australia – the National Association for the Bereaved by Suicide in 2013. He is a Board member of Postvention Australia and serves as National Secretary of the Association. In 2013, Alan was awarded the Farberow Award from the International Association for Suicide Prevention (IASP) at the IASP Congress in Oslo, Norway in recognition of outstanding contributions in the field of bereavement and survivors of suicide loss. Alan was the Founder and Director of Hope for Life, the Salvation Army’s Suicide Prevention Bereavement Support Services from 2006-2013. Alan was responsible for the Australian Postvention Conferences for the bereaved by suicide. He was also responsible for developing the Australian Lifekeeper Memory Quilt initiative which provides families with a tangible and therapeutic way of remembering their loved ones. He continues to serve as an Ambassador of The Salvation Army’s Hope for Life national programs. He played a key role in establishing the Salvo Care Line (1983) and the Salvation Army OASIS Youth Care Centre in Surry Hills (1992). In 1991 Alan founded and helped establish Suicide Prevention Australia (SPA) and for 18 years he served on the SPA Board as National Secretary. He undertook a range of additional responsibilities including organising SPA’s National Conferences. In 2003, in recognition of Alan’s perseverance and tireless efforts in suicide prevention, he was awarded a Medal of the Order of Australia (OAM) for services to young people through Suicide Prevention Australia and the Salvation Army. In 2004, he was honoured with Life Membership of Suicide Prevention Australia. 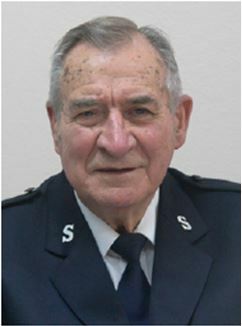 In 2007, Alan received the Order of the Founder (OF), the highest Salvation Army honour for distinguished service. Alan’s ongoing vision is to establish and build a strong network that provides holistic, physical, emotional and spiritual support, comfort and understanding to enhance the health and well-being of every person bereaved by suicide. Dr Wilma Gallet has a breadth of experience in senior management positions within the public and community services sectors. She worked for 20 years in the Commonwealth Employment Service before moving to the community sector in 1996. She established The Salvation Army Employment Plus in 1998 and as the founding CEO, was responsible for creating and building this enterprise from a zero base to the largest community provider of employment services under the Government’s Job Network umbrella. 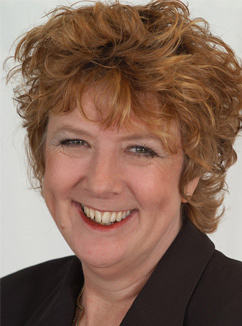 She has been a key policy influencer in the area of social reform and employment services and participated on a number of senior government committees and forums, including the Welfare Reform Consultative Forum (2001-2003), established by the Minister for Employment and Workplace Relations and the Minister for Family and Community Services to provide advice to government on welfare reform initiatives. She was also a member of the Centrelink Community Reference Group for many years. She served on the Australian National Council on Drugs (ANCD) between 2012–2014 term as an adviser on workforce participation. She currently works as a strategic adviser and social policy consultant in the areas of employment, education and training, youth and family services, domestic violence, homelessness, suicide prevention and community development. She has a Masters in Social Science and has recently completed a PhD through the University of Melbourne focussing on the impact of government funding on the mission, values and behaviour of church-related organisations delivering employment services as part of the government funded Job Services Australia. Over the past three years she has worked as a researcher on several projects and undertaken guest lecturer roles in the Masters of Public Policy Course at the University of Melbourne.